When you are looking for a classic building material which will truly stand the test of time, we recommend you consider Oak beams. 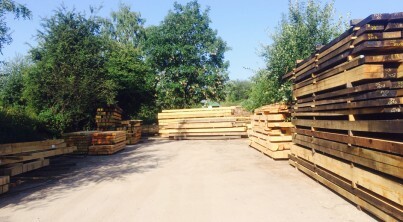 Oak is one of our specialities at Border Hardwood, so you can rest assured that the beams we supply will be of the very finest quality and processed in such a way that they will last a lifetime. Hardwearing and strong, these durable beams can add warmth and character to any building – whether they are used structurally or to create a fireplace surround. Whether you are constructing a framed extension or garage, or creating a structure to house a swimming pool, we can provide the Oak beams you need, machined and cut to size so they are ready to use. Quality is at the heart of all we do, so you can rest assured that you’ll receive Oak which meets the very highest standards when you buy from us. Available in a range of grades and sizes, our Oak beams can also be produced in custom sizes to suit a more bespoke requirement. To ensure your beams are strong enough for the task at hand, we can stress grade Oak to BS 5756, grades being THA D40, THB D30, TH1 D30 and TH2. We supply to customers throughout the Herefordshire and Powys region, so if you are based locally, make Border Hardwood your first port of call for the finest quality Oak.